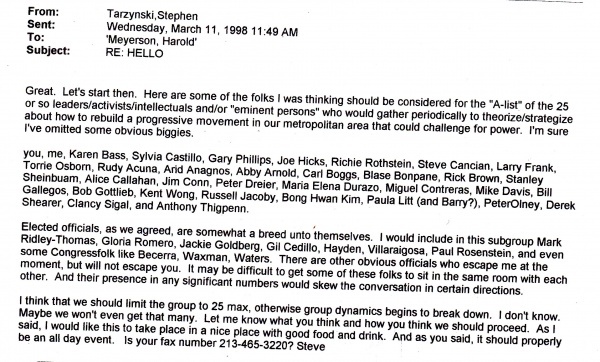 Paul Rosenstein is the son of Herman Rosenstein. In 1974 Paul Rosenstein was a member of the Los Angeles chapter of the New American Movement. In the 1980s Paul Rosenstein was a speaker on the The Working Class Today section of the NAM Speakers Bureau on the subject of What's Behind the "Blue Collar Blues".Paul rosenstein sorts out myths and realities about American workers, outlines important recent changes in the composition of the American workforce, and analyzes how workers spontaneously organize to defend their immediate interests. 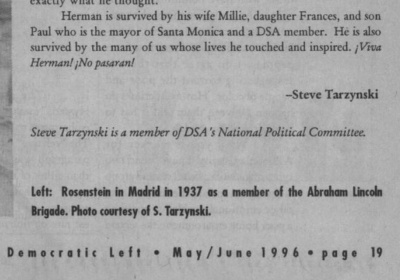 In 1996 Paul Rosenstein was the mayor of Santa Monica and a Democratic Socialists of America member. This page was last modified on 14 February 2012, at 02:05.